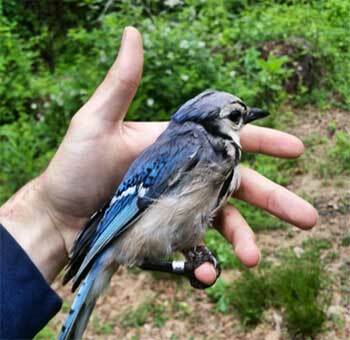 Banded Blue Jay. Photo courtesy of Jeff Brown. 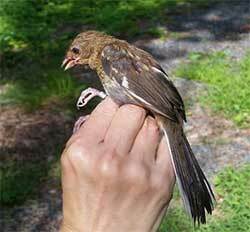 Juvenile Eastern Towhee. Photo courtesy of Jeff Brown. 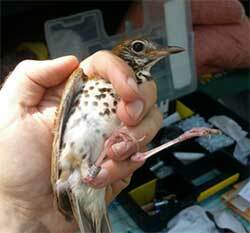 Banded Wood Thrush. Photo courtesy of Jeff Brown.